If you need help with the end of tenancy cleaning and you live in Ealing, you can rely on our services anytime! We are a cleaning company with big experience in the sphere and with us you can be sure that you will be served by the best professionals possible in town. The results of our services will meet your expectations for sure, because we always do our best in every cleaning process for all our customers. We want them to be fully satisfied with the job done and that’s why we never stop until we reach perfection. Our cleaning experts will stick to the requirements that you and your landlord have, they will also pay attention to every detail in your rental in order to be sure that everything is impeccable. The equipment that we invest in is the best one, because we cooperate with the leading manufacturers in the sphere. Their products are environmentally friendly and will not be harmful in any way. If you find our services helpful and you want to book us, you can do it whenever you decide, because we are available 7 days a week, including bank holidays. Our schedule is flexible, which will give us the opportunity to serve you on your convenience. Be sure that if for some reason your landlord is not fully satisfied, you can use our re-cleaning option in the next 4 days after the first cleaning. Our cleaners will be ready to visit you again and this will be free of charge for you. As it comes to prices, we guarantee that the prices we have are the lowest ones in W5, because they are affordable for everyone and the most important thing for us is to know that we have helped you solve your cleaning problems and you will get your deposit back without any problem. Our end of tenancy cleaning services are the choice of many tenants who live in Ealing and they have never been disappointed they have left the cleaning of their rental in our hands. I booked this company’s end of tenancy cleaning service last week. To be frank, I did not know what to expect as it was my first time using a professional cleaning service. I was very happy to see the place looking pristine. I am definitely recommending the service. 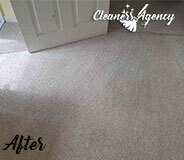 Clean surroundings ensure healthy living conditions. Whether it be your home, office or commercial premise, every property needs to be cleaned on regular basis. When you are too busy to deal with cleaning, Cleaners Agency London will be here to provide you with a professional cleaning service that suits your individual needs. For your peace of mind, we have wide experience as a cleaning provider and today offer you a wide selection of cleaning packages. While you are covering your agenda, we will be ticking off the domestic chores. There is no need to worry about quality. We take due measures to keep our highly qualified cleaning personnel updated with the latest cleaning practices and solutions. Our representatives participate in different training programs, which enables them to carry out all types of cleaning projects in a safe and sufficient manner. When our cleaning crew is cleaning your property, you can be confident that the job will be implemented in a safe and sufficient manner. 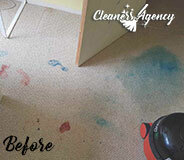 If you are looking for a professional end of tenancy cleaning service, you can place your trust in our company. 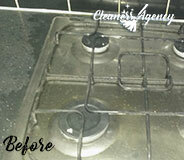 We are based in Ealing and we deliver end of tenancy cleaning sessions for both tenants and landlords. There is no more need to stress yourself out by the final cleaning when our hard-working cleaners are willing to do it for you. Plus, we can guarantee that tenants will be able to keep the full amount of the security deposit. Throughout the years we have helped a great number of customers from Ealing. If you want to be sure that you are leaving on good terms with your landlord or you want to rent out the property more quickly, we are your best choice in the area. 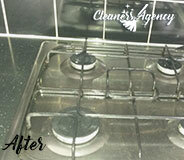 Our end of tenancy cleaning services come at fair rates and will not shake even the tightest budgets. Plus, it includes the cleaning equipment. These products are environmentally friendly and absolutely safe. We can promise you the outstanding outcome which will leave both sides of the tenancy agreement satisfied. To experience worry-free moving out, do not hesitate any longer and grab the phone already. We are worth trusting.